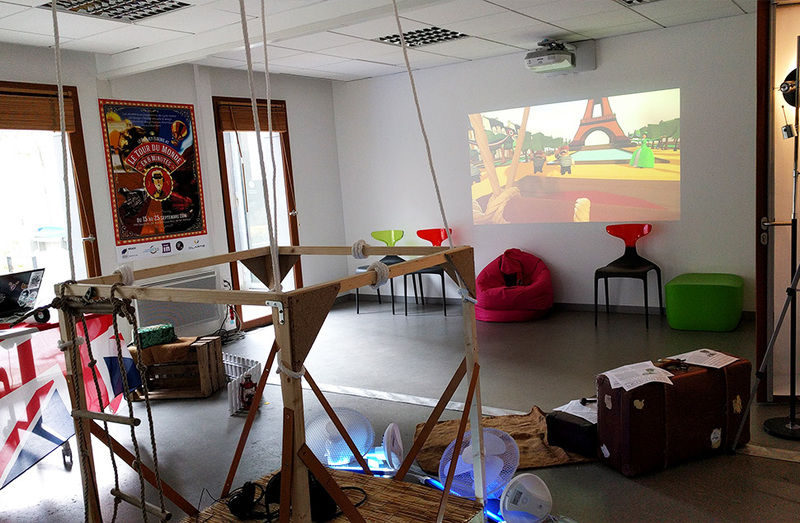 This ballooning experience is part of the 'Around the World in 8 minutes' project that was presented to the public during Nantes' Digital Week, where more than a thousand-people enjoyed the travel! 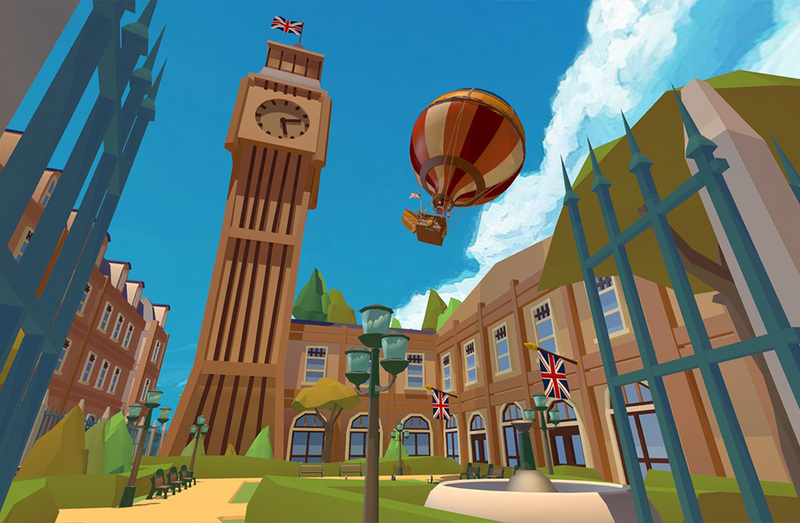 This project is a virtual reality contemplative experience taking place on board of a hot air balloon and freely inspired by Jules Verne’s 'Around the world in 80 days' masterpiece. 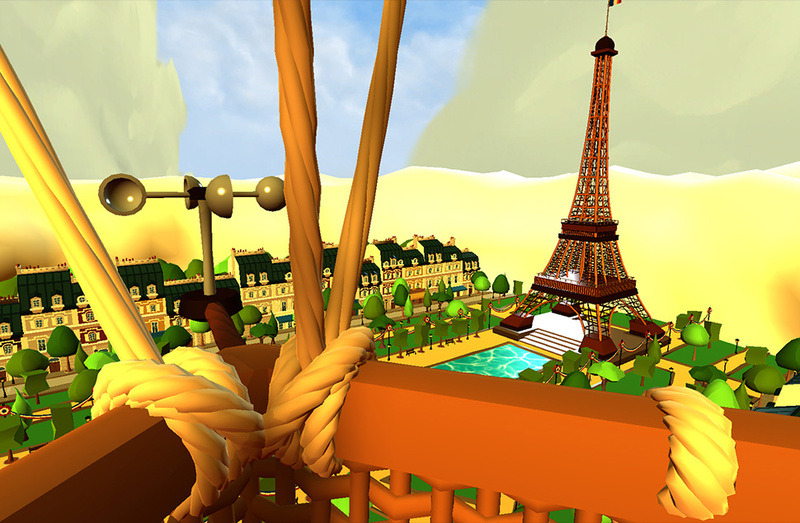 Players are given the chance to fly as Phileas Fogg and his famous valet Jean Passepartout as they leave London. Their flight in Europe might not be as straightforward as expected, but they will eventually reach Paris to pursue their journey. 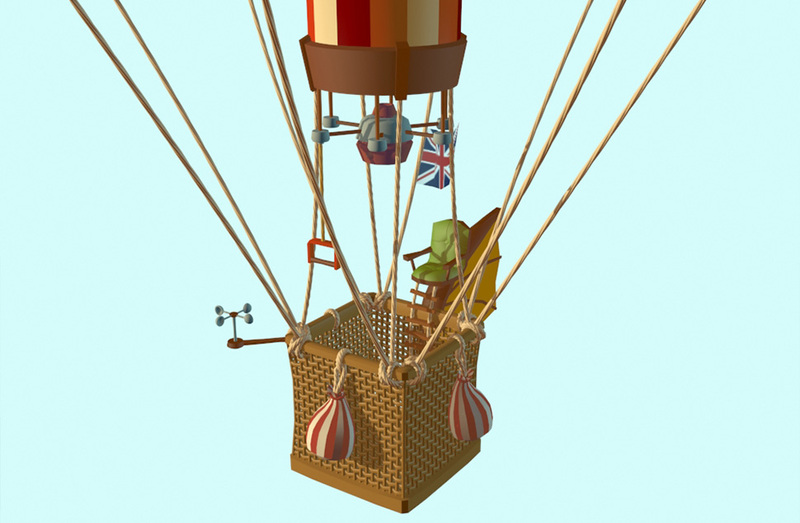 To offer an original flying experience without spending thousands of euros in engineering, we chose to build a fake structure of a hot air balloon basket in wood. 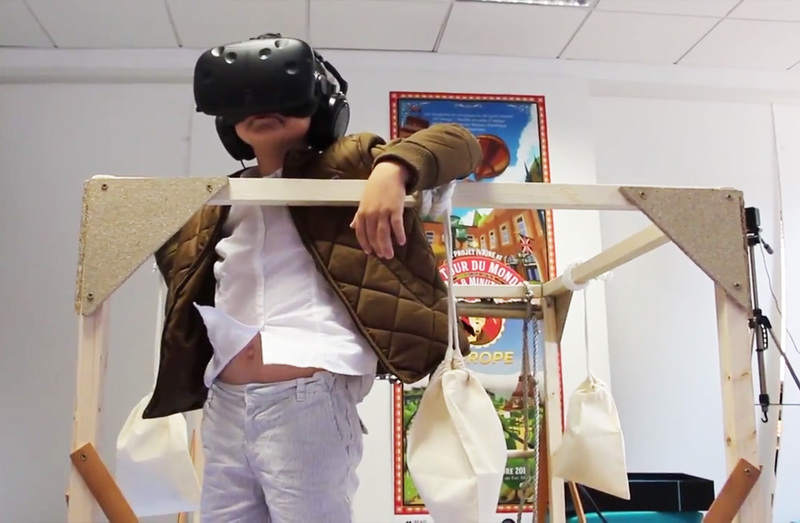 Players wore an HTC Vive VR headset tracking the head and body movements (6 Degrees of Freedom tracking) aboard of the basket. Some fans placed at the bottom of the basket gave a bit of a windy effect, and the four guide-bars were fully overlayed with the ones in the game, allowing people to grab them and even to lean over. Although the whole setup looked a bit quick and dirty, it worked surprisingly well and people loved it! 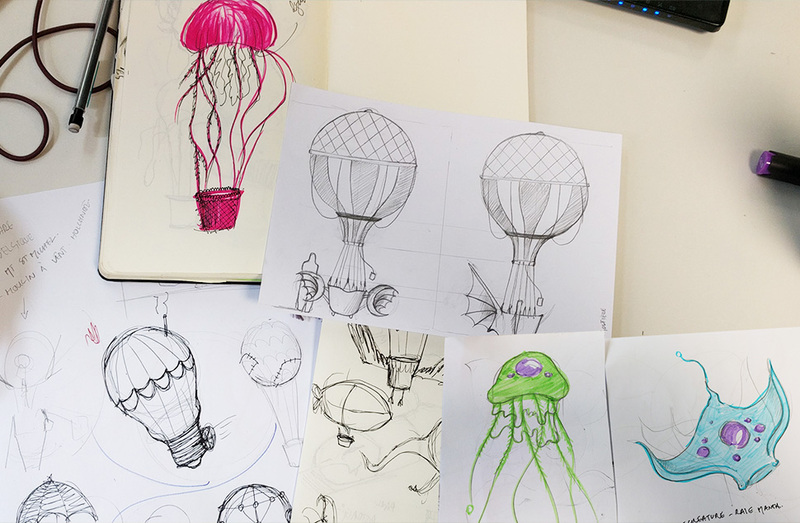 The game design and user experience of the project were really a team effort as we each played a part in its elaboration. 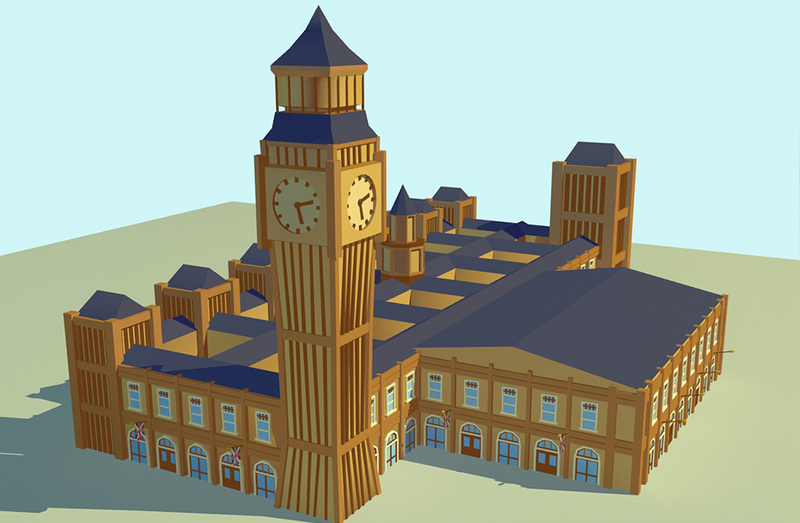 We planned the assets production and I then mainly worked on 3D modeling for the two urban areas of the experience (London and Paris), reproducing with a cartoony style some of the most iconic elements of both cities. I also designed a quick style guide and built the fake basket with Paul Le Texier. 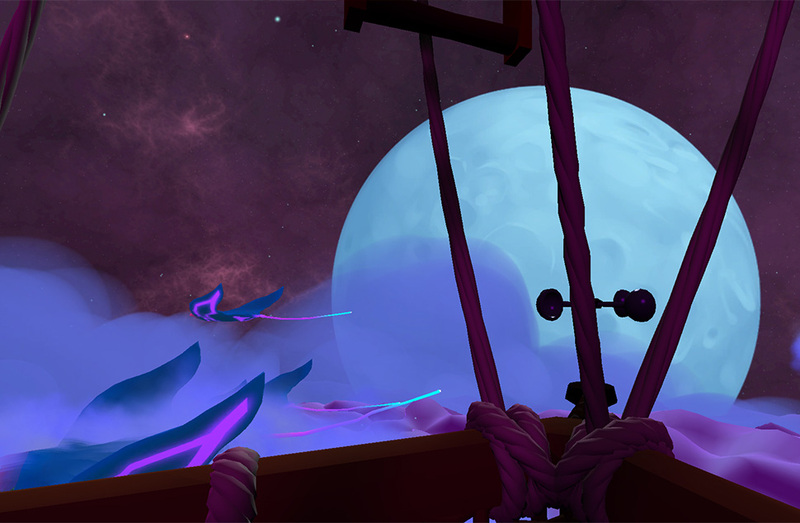 Level design and prototyping were done in Unity 3D. 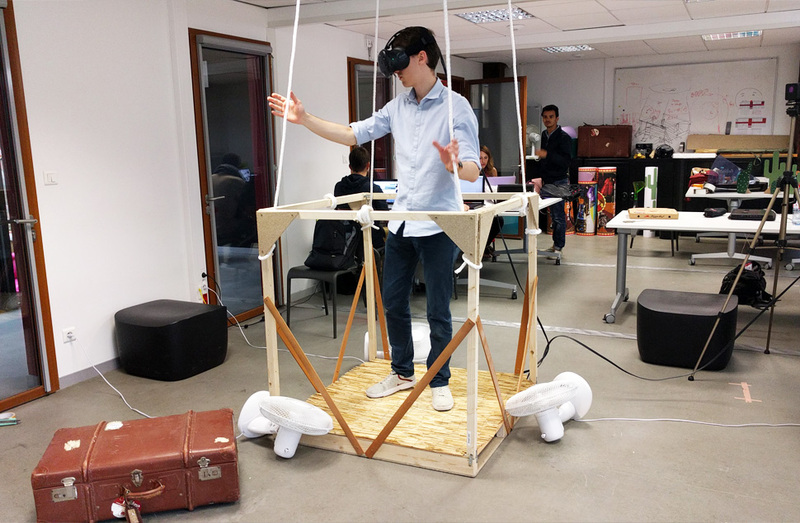 In september 2016 we presented the experience all day long for 8 days during Nantes' Digital Week which helped us gather some excellent feedbacks and improvement axis from more than a thousand users ! The project was featured on TV channels France 3 and BFM Business as well as by the city of Nantes.